Stress is something we have to deal with on a daily basis. Studies have shown that the stress we are under as increased as a whole in our society. We are busier, work more, and are generally more stressed out than ever before. When we feel overwhelmed in work or home life, it can easily spill over, leaving us feeling tense even doing the most menial of tasks. While there are many stress management steps you can take such as adding daily meditation to your life, one idea is often missed; adding crystals to your life. Carrying one around, wearing one, or especially meditating with one can all reduce the stress in your life. Crystals can help us feel less tense, less overwhelmed, and more able to focus on the important tasks in front of us. We often get ahead of ourselves, thinking too much of the future rather than living in the present. It is amazing the focus that crystals will bring on the present in your life. They help you slow down and appreciate the smaller things in life, rather than focusing on stress inducing problems, tasks, or emotions. When attempting to deal with or reduce the stress in your life, we recommend the balancing and centering rays of Turquoise crystals. Turquoise is a blending of the cold winter blue ray of Trust with the approaching warm green ray of Growth. It is the color of the earth as the new growth and life emerges at the first hints of spring. It is a fresh color, a welcome color, and a color that moves us to serenity knowing that the cycle of life is progressing rapidly. Turquoise is the Color Ray of Discovery and the Color Ray of Balance. Its vibrations help you find yourself and return to equilibrium in your life and feelings. Turquoise colored crystals have a wide variety of uses. They temper excesses, restore calm after a storm, relieve stress, neutralize extremes, and provide a counter to tendencies to fly off in a single direction. They help you overcome conflict, and deal with rage. They moderate aggressiveness and help you deal with cruelty. The turquoise colored crystals help you relax, rewind, and build tolerance. When you seek to reestablish your equilibrium and get your emotions under control, use a turquoise colored crystal. 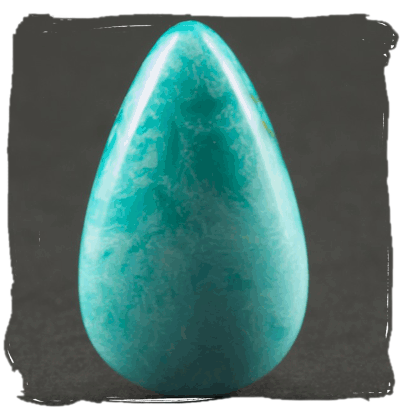 A unique and beautiful crystal that is perfect for reducing stress in your life is the translucent turquoise rays of Aqua Aura. 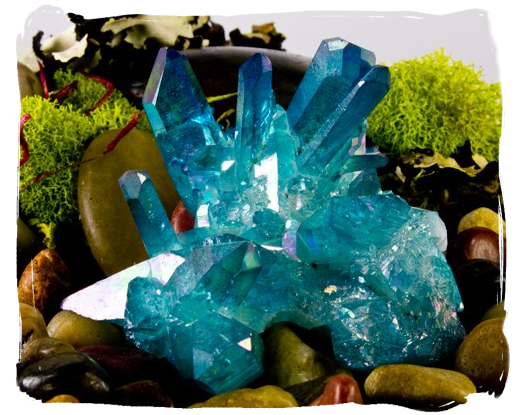 Aqua Aura Quartz is a stone of tranquility, peace, and protection from the undesirable elements of life. It can serve as a real barrier against negativity that may be effecting your spirit and joy. It helps temper excesses, restore calm after a storm, relieve stress, and neutralize extremes. It helps you overcome conflict, and deal with rage. Aqua Aura is great at moderating stress and bringing calm and tranquility into a stressful life. It also brings you the power of water energy. Water energy is the energy of stillness, quiet strength, and purification. It embodies potentialities unrealized. It is yielding, formless, yet powerful. The water element brings the power of regeneration and rebirth. It is the energy of the circle of life. Turquoise colored crystals come in various shades, both lighter and darker. However, no crystal is as true to the color rays as the one that takes its name. Turquoise is one of the most efficient healers, providing solace for the spirit and well-being for the body. It benefits the overall mood and emotion by balancing and inducing a sense of serenity and peace. Holding or wearing Turquoise helps restore depleted vitality and lifts sagging spirits. It relieves stress and brings focus back to the center heart. It is empathetic and balancing, helping one to recognize the causes of happiness and unhappiness, and to master them. 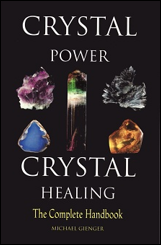 Aqua Aura is a powerful Seeker Transformer crystal. It is specifically known to help find peace in a highly stressful world. Aqua Aura Quartz is associated with the Fourth Chakra, the Heart Chakra. It is used in emotional healing when someone needs to recover from emotional trauma, become more aware of the needs of his or her heart, and in efforts to improve one’s ability to express love. 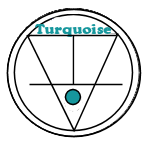 Turquoise enhances the ability to see all aspects of ourselves, good and bad, and to integrate these aspects into a cohesive whole. While it is tempting to try and rid ourselves of the traits of self that are not entirely enlightened, Turquoise, like an ancient Grandfather ally, reminds us that all experiences are valid and that mistakes are simply another experience. Wholeness can only come when we are willing to embrace all of who we are and what we have learned. Melody suggests Lepidolite which is a stone for dispelling negativity and restoring calm in a hostile environment. 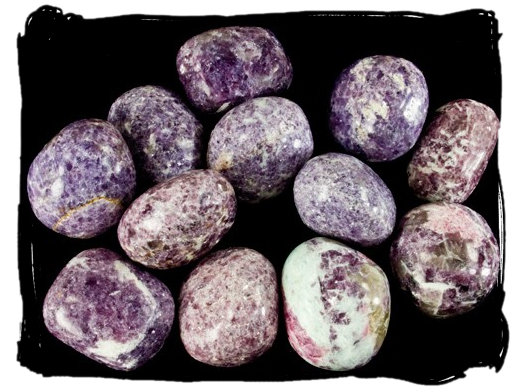 Lepidolite is used for stress reduction and to alleviate despondency. The energy of Lepidolite is refreshing and almost sentimental; it assists in the transformation of the energies of lesser spiritual ideals to the energies of universal light, hope, and acceptance. 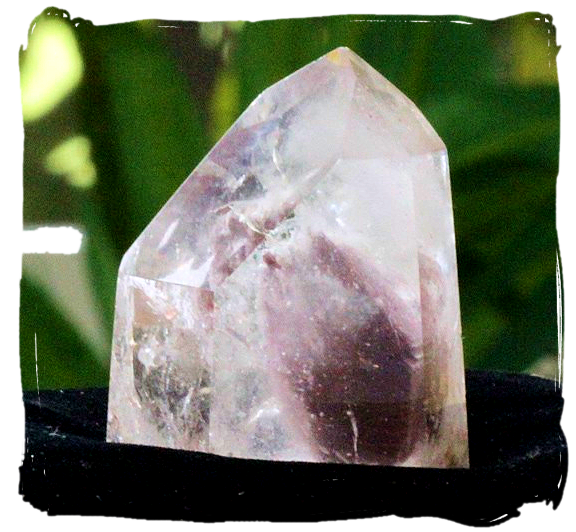 Naisha Ahsian recommends Lithium Quartz which can be used to restore the balance in your spirit energy of the crown chakra. Lithium Quartz is a heart-healing tone, which works by alleviating stress, calming frayed nerves, an allowing one to relax. This naturally opens one to approach the world from a more balanced heart pace. This stone is excellent for children to use at the end of their day in order to become calm and centered before dreamtime. Michael Gienger mentions Moss Agate which is a pendant of tranquility and restfulness that brings Wood energy to aid in the gentle flow of the life energy through your body. 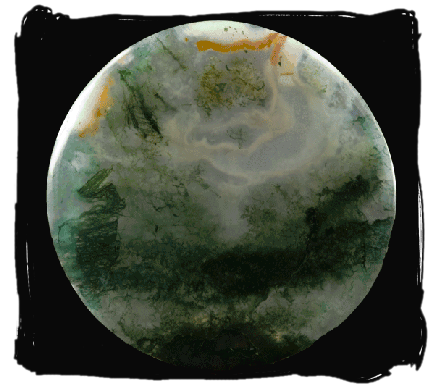 Moss Agate liberates us from pressure and stress. It helps loosen deep fear and encourages trust and hope. It also brings recovery and refreshes the soul. The stress of daily life can sometimes just be too much and easily begin to take its toll. It can make us feel rundown, tired, overwhelmed, and wreak havoc on our health. When you need help in dealing with the daily stresses of life, look no further than the tranquil rays of turquoise crystals. We recommend carrying or meditating with Aqua Aura or Turquoise. 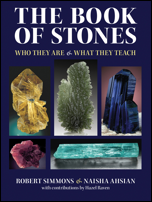 You can also try the crystals that other authors suggest such as Lepidolite, Lithium Quartz, and Moss Agate.